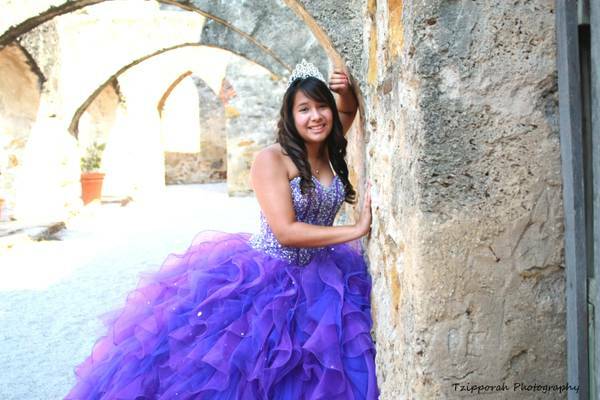 I am an experienced photographer in the San Antonio area and am available for your Quinceanera or Sweet Sixteen photography needs. I have lots of experience in portraiture sessions and events and provide my customers with a CD of all of the images (edited with professional imaging software) as well as rights to the photos. I cover everything from getting ready, the ceremony, family pics, limo ride (can also stop to take pics at a nice park), reception, toast, gift receiving, crowning and dancing. I know how important the day it is for your family and I make sure my clients feel like an absolute STAR! You can see more of my work here:https://www.facebook.com/TzipporahPhotographyhttp://www.tzipporahphotography.comI have all kinds of packages for different needs and budgets. If you book the all access package, a free one hour portrait session will be thrown in for FREE if you need table pictures for her party.The most important thing you will take away from this event are the photographs and I promise to help make it a fun and creative experience.If interested, please email me and let's start talking ideas for your photo shoot!